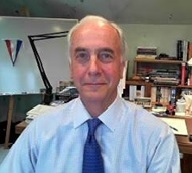 PROFILE: HARRY F. KOOLEN, JR.
Mr. Koolen is the founder and managing partner of Performance Learning Designs, https://www.performancelearningdesigns.com/ based in Asheville, North Carolina, and the former managing partner of PFP Consulting (1993-2017). Prior to establishing his training and consulting practices, Mr. Koolen spent 13 years in international banking, including assignments in London and Singapore. Over the past 25 years, he has developed and conducted performance improvement programs for clients in more than 20 countries. Performance Learning Designs assists clients with the design, development, and implementation of customized training and performance enhancement initiatives in the areas of sales and sales leadership, negotiation skills, key account management, team-based collaboration, and delivering winning idea pitches. Programs are grounded in extensive research and are accompanied by context-specific pre- and post-training performance consulting support. Mr. Koolen is a certified Cultural Intelligence facilitator and consultant. The four-factor Cultural Intelligence (CQ) model is a practical framework for developing intercultural skills and adapting to cross-cultural environments. Grounded in the theory of multiple intelligences, CQ is a form of intelligence that predicts cross-cultural adaptive performance in study abroad programs, international job assignments, and working on multicultural teams, regardless of cognitive abilities. By using CQ assessments and feedback, individuals can greatly enhance the transfer of learning into changed behaviors and ways of thinking, thus maximizing the long term benefits of a wide range of work and study-related intercultural learning experiences. A graduate of St. Lawrence University with a B.A. in Russian History, Mr. Koolen also holds a Masters in International Management from the Thunderbird School of Global Management (Arizona State University), a Master of Arts in International Relations from the University of Southern California, and a M.Ed. in Instructional Design from the University of Massachusetts.